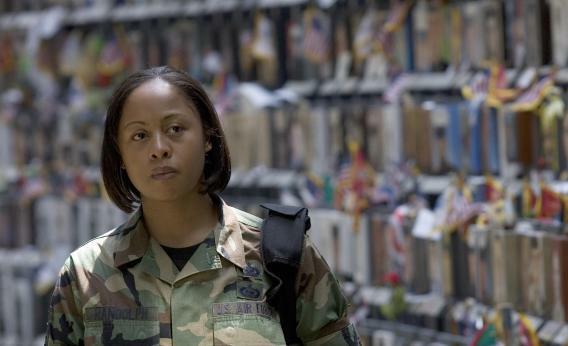 Female veterns view the post-9/11 wars differently than their male counterparts. A new study by the Pew Research Center has found that female veterans view the United States’ military involvement in Iraq and Afghanistan as being less worthwhile as compared to their male counterparts. When asked if they thought the war in Iraq was “worth fighting,” 63 percent of women vets said “no,” compared to 47 percent of men. Afghanistan elicited similar numbers, with 54 percent of women condemning the war compared to 39 percent of men. According to the survey, there are currently 167,000 active duty female service members, only 15 percent of whom participate in combat situations due mainly to gender-based restrictions on the kinds of units in which they are allowed to serve. However, like men, female troops report experiencing difficulty readjusting to civilian life—about 42 percent feel they suffer from post-traumatic stress. Still, 97 percent say they are proud of their work.